Akashi is a small city right next to Kobe. It is not very far from Kobe and famous for 2 things, the Akashi Kaikyo Bridge and Akashiyaki, a soft version of takoyaki. I headed there to just relax and enjoy the beach but ended up checking out the outlet mall as well. It was a really nice place to visit and I had a good time just relaxing in the area. 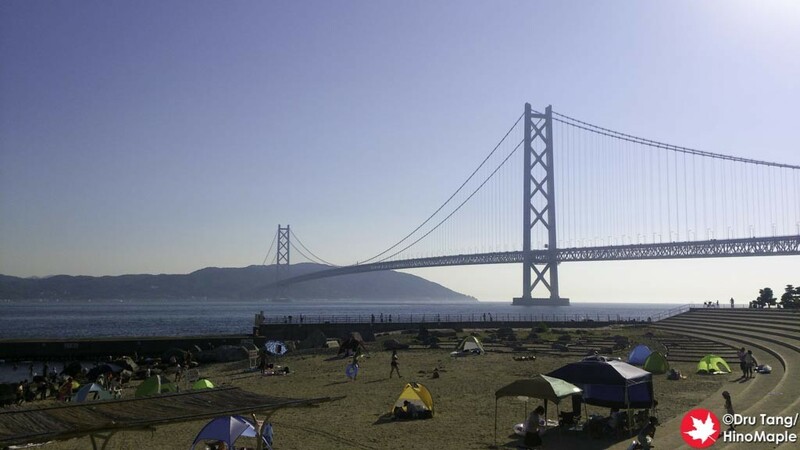 If you are looking to go to the beach, it is better to go to Maiko Station. It isn’t a major station so there isn’t a lot you can do there. We just went to the main shopping complex where we got a few drinks and snacks and headed straight to the beach. 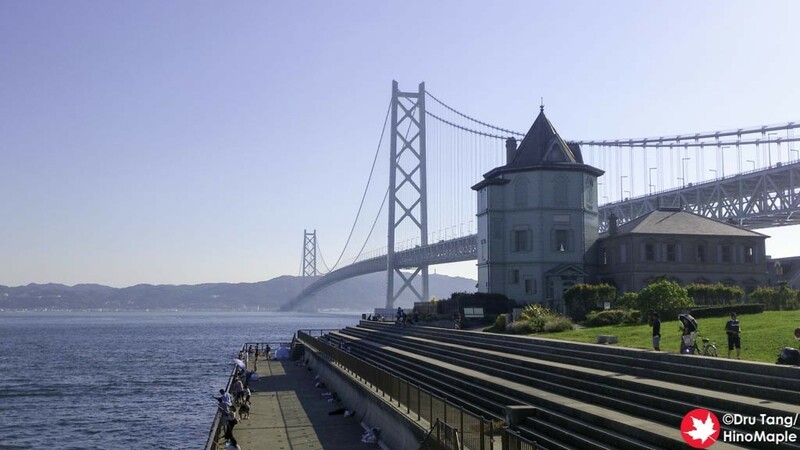 Right from the station you are at the base of the Akashi Kaikyo Bridge. It is a magnificent bridge and when you are right under it, it is amazing. There are a few view points from the shopping centre but they aren’t really that good. As you head east along the coast you pass a park and soon you are at the beach. The beach is pretty popular and you will see a lot of people just relaxing and enjoying the sun. The guards can be a little strict on the rules; to the point of being annoying. We had a dog with us and while we didn’t intend to actually enter the beach with the dog, the guard got angry for us as we approached the beach. A simple, “We know. We are just going to the edge.” was enough to shut him up. While we were at the beach I got a little bored. I couldn’t just lie down and I didn’t have shorts so I decided to head to the outlet mall. The Marine Pia Kobe is run by Mitsui Outlet Park and it is a fairly standard outlet mall. It is spread out over several buildings with different buildings specializing in different items. The first building I went to specialized more in sports and kids items while another focused on women’s fashion. There was even a building for restaurants. It was a nice outlet mall but really not interesting if you have been to other outlet malls in Japan. 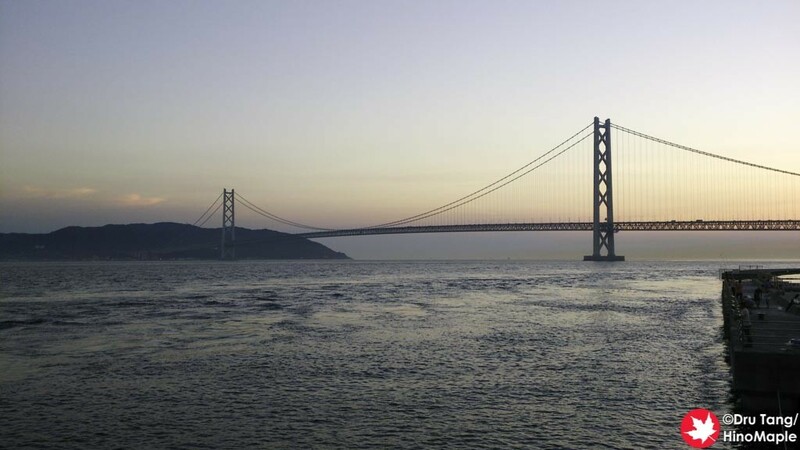 The main thing to enjoy, besides the beach, is the Akashi Kaikyo Bridge. There are a lot of places where you can enjoy views of the bridge. Maiko Station isn’t the best place because it is a little too close to the bridge. The view is better from the outlet mall as you are farther from the bridge and you can easily get good photos of the entire bridge. Sunset is also a good time to visit the outlet mall as the bridge is very beautiful at this time. After I visited the outlet mall I headed to the free shuttle bus that took us to Tarumi Station. It was not far but the bus ride took forever due to traffic. In hindsight I think walking would have been faster but at least we had air conditioning. Getting to and from the area isn’t difficult, especially from Kobe, and if you just want to get away from the city, this area is really nice. 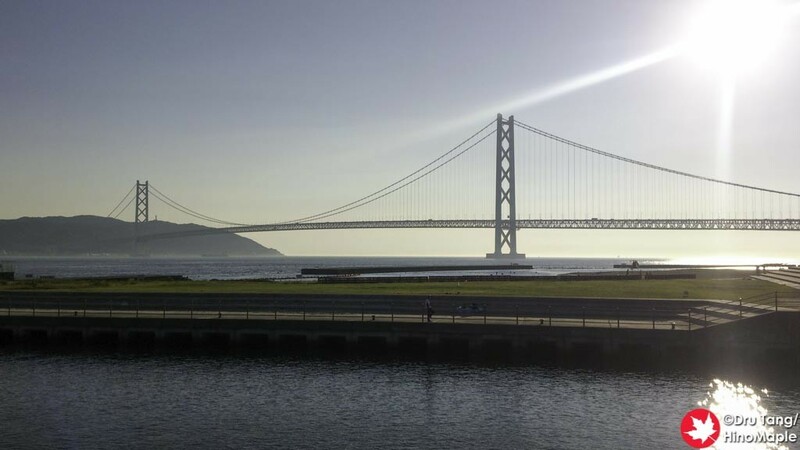 This entry was posted in Kansai and tagged Akashi, Akashi Bridge, Akashi Kaikyo Bridge, Akashi Ohashi, beach, bridge, Hyogo, japan, Kobe, maiko, Maiko Station, Mitsui Outlet Park, Outlet mall, Tarumi, Tarumi Station by Dru. Bookmark the permalink. Actually Akashi is a city, just like Kobe and not part of Kobe but like Kobe is part of Hyogo Prefecture. 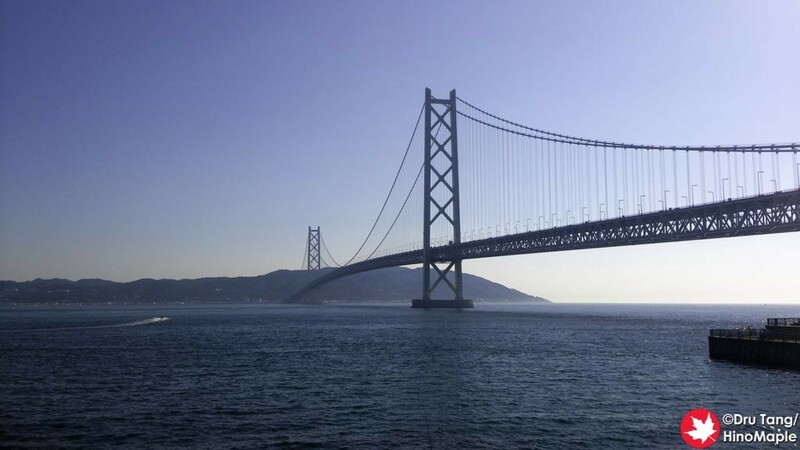 Yes the bridge is called Akashi Kaikyo but located within Kobe City. Yes, Maiko and the area is a great place to visit. My mistake. 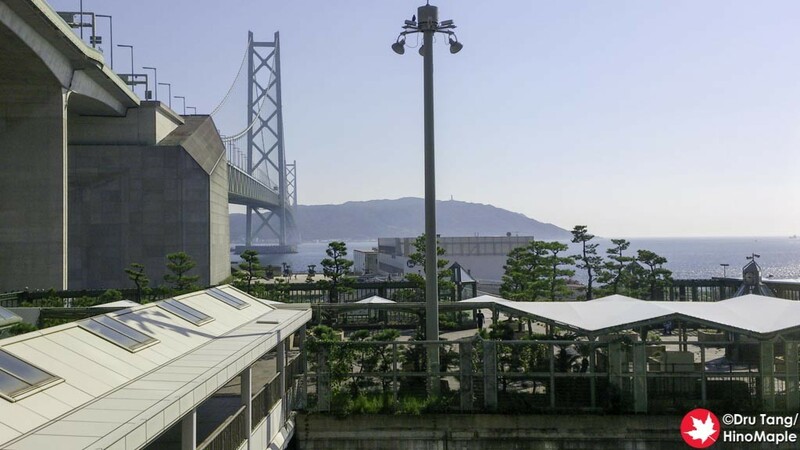 I didn’t actually go to Akashi Station, although this post is about Maiko and the Akashi Kaikyo Bridge, I missed the fact that it is technically part of Kobe’s city lines. The Akashi Station area does look much bigger than I thought, based on Google Maps. Just wondering though, while I made the mistake that Akashi is a city, since it is only 15-20 minutes away by train to Kobe, would you not consider it a suburban “city” of Kobe, much as Chiba or Yokohama is to Tokyo, or even Kobe and Kyoto are to Osaka? Would the majority of people who live in Akashi work in Kobe rather than Akashi? I know these are just semantics but just curious as to how people of Akashi see it. No actually, Akashi has its own long history with its own castle. The people of Akashi are proud to be part of that history which is shown by the various festivals held in the city during the year. The same is true for Kobe, Kyoto, Osaka and Chiba. 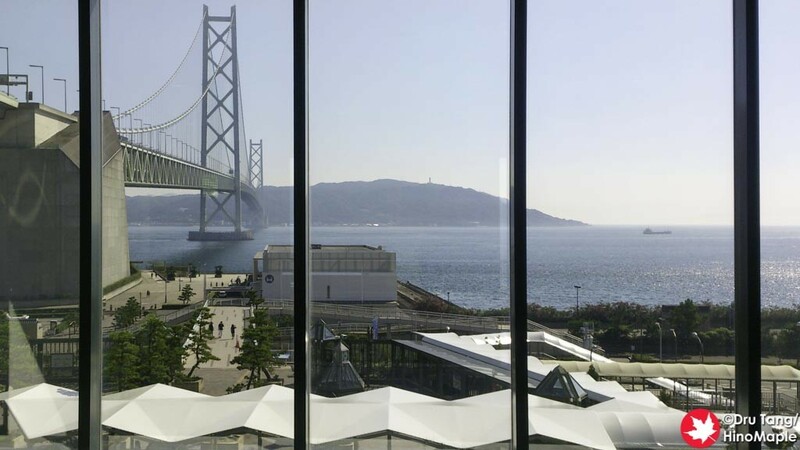 The train from Kobe (final stop) to Akashi (first stop) is less than 5 minutes.The fact that people may live in one place and work in another changes nothing about the historical locations of these places. I made the comment so anyone reading you post but now know that Akashi City and Kobe City are next to each other but separate. We just spent our day on Maiko and then the open air onsen. Thanks for the info. While I’m inclined to say that Chiba is “nothing more” than a suburban city of Tokyo, of course it has its own history and its own unique events. Kyoto is definitely different to Osaka as Kyoto used to be the political capital of Japan, but you already know that. Kobe, although I consider it a different city, still consider it more of a suburban city of Osaka.